The Morgan Plus 4 is an automobile which was produced by the Morgan Motor Company from 1950 to 1969. It is a powerful and, in the case of the earlier cars. The Plus 4 was revived in 1985 and filled the gap between the 4/4 and the Plus 8 until 2000, it was revived in 2005. After World War II Morgan had re-introduced their 4/4 model fitted with a 1267 cc Standard engine and this continued in production until 1950 when it was replaced by the larger Plus 4 announced at the 1950 Earls Court Motor Show. The Plus 4 at its introduction was fitted with a 2088 cc engine based on that used in the Standard Vanguard, installed on a strengthened 4/4, hydraulic brakes, at first all drum, were fitted for the first time on a Morgan. In 1953 a higher performance version was announced with the 1991 cc I4 engine as used in the Triumph TR2, the radiator grille was now surrounded by a cowl that blended into the bonnet. Front disc brakes became an option in 1959 and were standardised in 1960, from 1962 the engine was the Triumph TR4 unit, which increased displacement to 2138 cc. In 1955 the less powerful 4/4 model re-appeared in phase II form, the 96 in wheelbase of the Plus 4 was adopted by the 4/4 when it reappeared in 1955, after which the two cars were for most purposes the same length and width. Also at the 1962 Geneva Motor Show, on display at the official Morgan stand the very unofficial Morgan +4 Ashley Sportiva Coupe developed by the Swiss Morgan Importer. Details are displayed on the Morgan +4 Ashley Coupe Story website, body styles available were a 2 seat sports,4 seat sports and more luxurious 2 or 4 seat drophead coupé. One of the quirks of the Plus 4 was that the engine cowling fitted so closely to the engine that there was no room for an air filter. Some owners stretched cheesecloth over the carburettor as a field-expedient, a racing version, the Plus 4 Super Sports was available from 1962 with tuned engine and lightweight body. Chris Lawrence and Richard Shepherd-Barron won the 1601-2000cc GT class at the 196224 Hours of Le Mans driving a Plus Four, the class winning car, chassis number 4840, was originally registered XRX1 in 1961, changed to TOK258 from late 1961 through mid-1964. 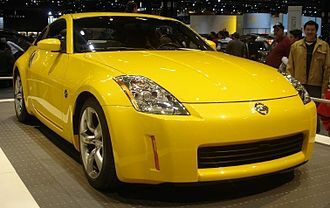 The Nissan 350Z was a two-door, two-seater sports car that was manufactured by Nissan Motors from 2002 to 2009 and marks the fifth generation of Nissans Z-car line. 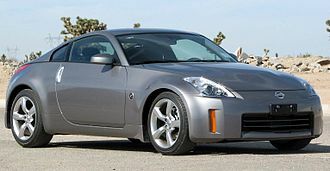 The 350Z entered production in late 2002 and was sold and marketed as a 2003 model, the first year there was only a coupe, as the roadster did not debut until the following year. 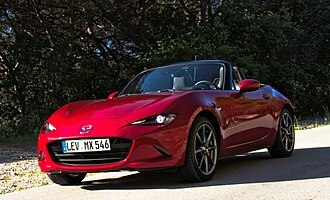 Initially, the coupe came in base, Performance and Track versions, while the roadster was limited to Enthusiast, the Track trim came with lightweight wheels and Brembo brakes, but its suspension tuning was the same as all other coupes. The Nissan 350Z has been succeeded by the 370Z for the 2009 model year, after the Nissan 300ZX was withdrawn from the U. S. market in 1996, Nissan initially tried to keep the Z name alive by re-creating the 240Z the following year. 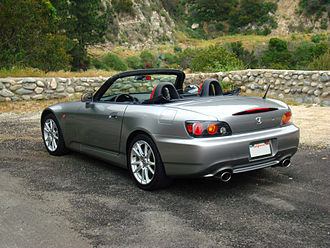 The car was conceived by Nissans North American design team in their time, and the concept was introduced in a four state Road Show in July 1998 to various car media, dealers. Yutaka Katayama, regarded as the Father of the Z unveiled the Z concept sketch to the public when he received an industry award. The design, representing a modern vision of the 240Z, did not please the original 240Z designer Yoshihiko Matsuo, the 240Z concept was produced for the Detroit Motor Show for the following August and September. Nissan was unhappy with the first design as they felt the original 200 bhp 2, during a press conference in February 2000, president Carlos Ghosn announced plans to produce the car as he felt the new model would help to assist the companys recovery. The Z Concept was unveiled in Detroit Motor Show two years later, which was similar in shape but with a new front end. 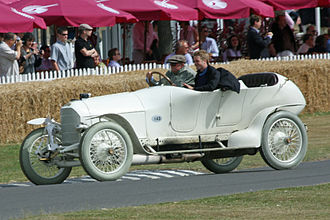 The car underwent a redesign and was eventually assigned the VQ35DE engine. Nissan unveiled the 240Z concept car at the 1999 North American International Auto Show, the concept was based primarily on a design sketch by Jerry Hirshberg of Nissans California design studio. In a reference to the original, it was a bright orange two-seater with swept-back styling and it was fully functional car with its 2.4 L 4-cylinder KA24DE engine from the Nissan Altima producing 200 bhp and 180 lb·ft of torque, and not the Z-cars traditional 6-cylinder engine. Hot rods are typically old, classic American cars with large engines modified for linear speed. The origin of the hot rod is unclear. Some automotive historians say that the term originated with stolen vehicles being refitted with another engine, in the early days of automobile manufacturing there was no identical matching transmission, body frame, and engine numbers. It was possible to change engines and repaint the car or truck and in turn it into a different vehicle. 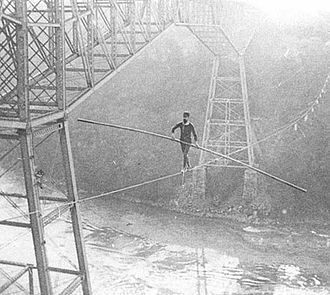 The term hot was equivalent to being stolen, the term rod was equivalent to any motorized vehicle. Another possible origin includes replacement of the camshaft with a new version, roadsters were the cars of choice because they were light, easy to modify, and inexpensive. The term became commonplace in the 1930s or 1940s as the name of a car that had been hopped up by modifying the engine for higher performance, a term common in the early days was gow job. This has fallen into disuse except with historians, the term has broadened to apply to other items that are modified for a particular purpose, such as hot-rodded amplifier. The activity increased in popularity after World War II, particularly in California, many cars were prepared by bootleggers in response to Prohibition to enable them to avoid revenue agents, some police vehicles were modified in response. The first hot rods were old cars, modified to reduce weight, speedster was a common name for the modified car. Wheels and tires were changed for improved traction and handling, Hot rod was sometimes a term used in the 1950s as a derogatory term for any car that did not fit into the mainstream. Hot rodders modifications were considered to improve the appearance as well, engine swaps often involved fitting the Ford flathead engine, or flatty, in a different chassis, the 60 horse in a Jeep was a popular choice in the 40s. 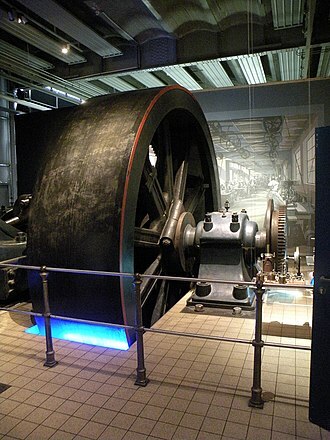 In the 1950s, the block was often fitted with crankshafts of up to 4.125 in stroke. In addition, rodders in the 1950s routinely bored them out by 0.1875 in, due to the tendency of blocks to crack as a result of overheating, a perennial problem, in the 50s and 60s, the flatty was supplanted by the early hemi. Although the two are related, custom cars are distinct from hot rods. 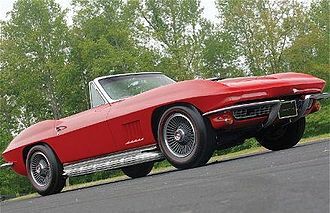 The extent of this difference has been the subject of debate among customizers and rodders for decades, additionally, a street rod can be considered a custom. A development of hot rodding, the change in name corresponded to the change in the design of the cars being modified, the first hot rods were pre-World War II cars, with running boards and simple fenders over the wheels. 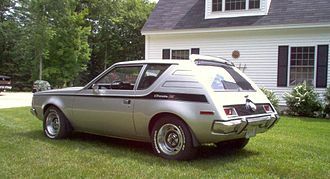 Early model cars were modified by removing the running boards and either removing the fenders entirely or replacing them with very light cycle fenders, models usually had fender skirts installed. 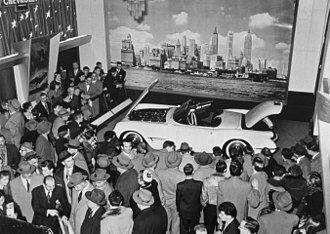 The firm was started by ex-employees of Howard Dutch Darrin, who had designed, strother MacMinn called the Yankee Doodle Roadster by Coachcraft the “first American custom sports car. Engine swaps were done, the object of which was to put the most powerful engine in the lightest possible frame, initially this involved lowering the rear end as much as possible with the use of lowering blocks on the rear springs. 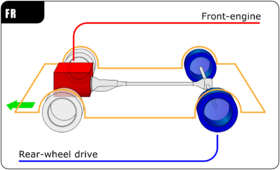 Later cars were given a job either adding a dropped front axle or heating front coil springs to make the front end of the car much lower than the rear. Much some hot rods and custom cars swapped the old solid rear axle for an independent rear axle, sometimes the grille of one make of car replaced by another, the 1937 Buick grille was often used on a Ford. In the 1950s and 1960s, the swap of choice was the 1953 De Soto. With the change in design to encase the wheels in fenders and to extend the hood to the full width of the car. 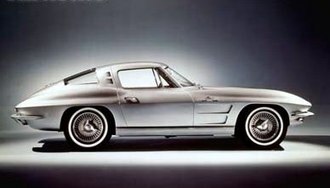 In addition, there was tremendous automotive advertising and subsequent public interest in the new models in the 1950s. Hence custom cars came into existence, swapping headlamp rings, bumpers, chrome side strips, and tail lights, as well as frenching and tunnelling head- and taillights. The bodies of the cars were changed by cutting through the metal, removing bits to make the car lower, welding it back together. 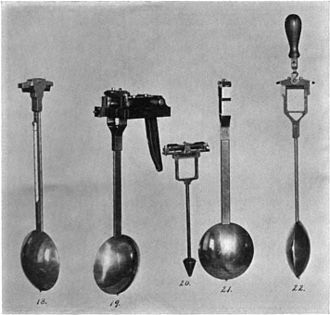 By this means, chopping made the lower, sectioning made the body thinner from top to bottom. 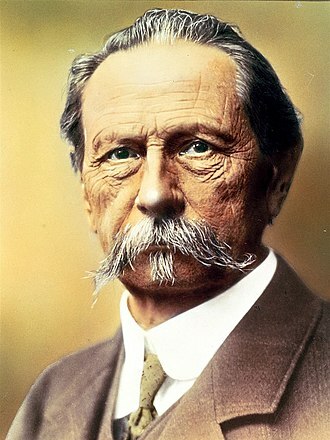 When it was developed, German manufacturer Mercedes-Benz owned 40 percent of the McLaren Group. SLR stands for Sport Leicht Rennsport, homage to the Mercedes-Benz 300 SLR which served as the McLarens inspiration, both coupé and roadster versions were offered. The SLR McLaren was succeeded by the Mercedes-Benz SLS AMG, the car was presented as Tomorrow Silver Arrow in a clear reference to the Silver Arrows of the golden age of Mercedes in competition during the fifties. Later that year, during the Frankfurt Motorshow it was presented the roadster version, wanting to bring the concept to production, Mercedes joined with their Formula One partner, McLaren, thus creating the Mercedes-Benz SLR McLaren. The Mercedes-Benz SLR McLaren saw a run of over six years. On 4 April 2008, Mercedes announced it would discontinue the SLR, the last of the coupés rolled off the production line at the end of 2009 and the roadster version was dropped in early 2010. The SLR features Sensotronic Brake Control, a type of brake-by-wire system, the brake discs are carbon-ceramic and provide better stopping power and fade resistance than steel discs when operating under ideal working temperature. Mercedes-Benz claims these discs are fade resistant to 1,200 °C, the front discs are internally vented and 370 mm diameter eight-piston calipers are used. Rear discs are 360 mm in diameter with four-piston calipers, during wet conditions the calipers automatically skim the surface of the discs to keep them dry. To improve braking performance an automatic air brake deploys at a 65 degree angle at high speed, the SLR features active aerodynamics, there is a spoiler mounted on the rear integral air brake flap. The spoiler increases downforce depending on its angle of elevation, the SLR sports a 232 kg hand-built 5,439 cc, all-aluminium, SOHC, V8 engine. The cylinders are angled at 90 degrees with three valves per cylinder and lubricated via a dry sump system, the compression ratio is 8.8,1 and the bore and stroke is 97 mm ×92 mm. 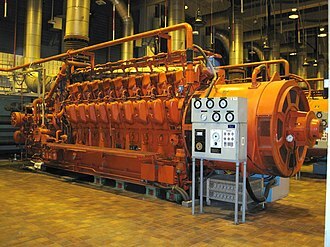 The Lysholm-type twin-screw supercharger rotates at 23,000 rpm and produces 0.9 bar of boost, the compressed air is cooled via two intercoolers. 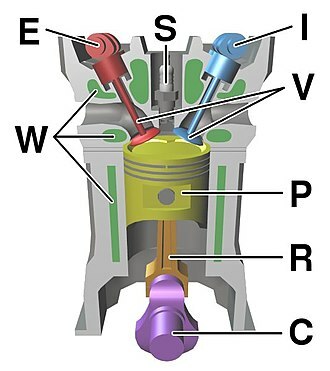 The engine generates a power of 626 PS at 6,500 rpm. The Infiniti G-series is a line of compact executive/entry-level luxury sports car produced by the Infiniti division of Nissan for the 1990–1996 and 1998–present model years. The first two generations of the Infiniti G were sedans based on the Nissan Primera, beginning with its third generation, the Infiniti G have been rebadged versions of the Nissan Skyline line of sedans and coupes that were exported to the United States and Canada. 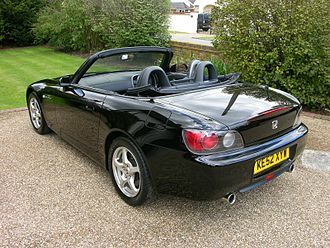 The current incarnation is the generation which introduced the hardtop coupe convertible. In May 2013, Infiniti announced a new naming convention beginning with the 2014 model year, all cars are designated by the letter Q. The Infiniti G was to have been replaced by the Infiniti Q50 and it was a rebadged version of the Nissan Primera sedan, primarily designed for the European market. 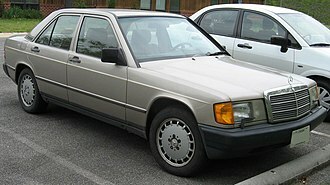 Two generations of the G20 exist in the United States, the HP10, built from 1990 to 1996, all G20s were front-wheel drive and were built in Oppama, Japan. The exterior and interior designs of the P10 were styled by Mamoru Aoki in 1988, the G20 was first unveiled to Infiniti dealers at the 1989 New York International Auto Show, with the first series production example being assembled on July 10,1990. The final 1996 G20 was rolled off the line on July 19,1996. 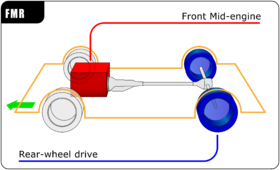 The P10 featured the first application of Nissans multi-link front suspension in a front-wheel-drive car and it came standard with a 5-speed manual transmission. The G20 was powered by the SR20DE Inline 4-cylinder and it was a transversely mounted dual overhead cam naturally aspirated reciprocating internal combustion engine. Displacement was 2.0 litre with a square and this engine was shared with the US-spec Nissan Sentra/Nissan 200SX SE-R, Nissan NX2000, and a host of non-US Nissan vehicles. The particular version used in the G20 produced 140 hp crank in the US at first and these engines were fairly high-revving with a redline of 7500 rpm for 1991 through 1996 models,6950 rpm for the 1999 model, and 6750 rpm for 2000-2002 models. There were three variants of the SR20DE used in the G20. The first, used from July 1990 to December 1993, was the highport, in which the injectors, in January 1994, due to tightening emissions restrictions, Nissan switched to a lowport design, in which the injectors and fuel rail switched places with the intake plenum. 2004 AP2 and 2000 AP1 model S2000s from above—the AP1 has OEM front lip, side strakes, and rear spoiler. The iconic "T-bucket" custom, with characteristic exposed engine, flat windshield, headers, and open pipes. 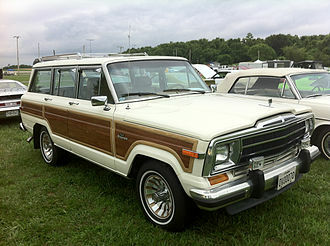 Soft top (shown) is optional. Also features chrome five-spoke wheels, dropped tube axle, transverse front leaf spring, front disc brakes, open-face aircleaner, Weiand valve covers, and single 4-barrel (probably a QJ).